If you live in Cypress Texas and you want to buy a car, you might need our input before you buy the car of your dreams. If you already have a car and you are enjoying this automobile, we can help you get a better performance out of the car. 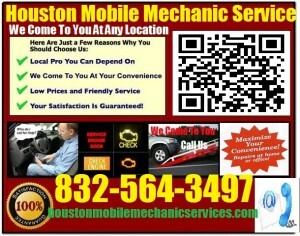 We are mobile mechanics, we carry out pre purchase inspection and we repair foreign automobiles. We are located in Cypress, Texas and below are some things we can do for you by calling 832-564-3497 we will come or travel to you at any location. If you want to buy a car, there is no harm in letting us look at the automobile before you make the deal. This is because we know how cars behave so our input will benefit you greatly. It does not matter if you are buying a brand new car or a second car. Talk to us and we will gladly offer you our expert opinion on any car you want to buy. Some people love foreign automobiles. One minor problem here is that many mechanics are not familiar with foreign automobiles. This implies that if your car has a problem, you may not get a competent mechanic to repair your vehicle. In case you are in this situation, you have nothing to worry about because we have competent mechanics to help you. We repair all brands of foreign cars and we will go the extra mile to make you happy. Cars are unpredictable and you never know when they will breakdown on you. In case in case your car develops an electrical or mechanical fault without warning, you do not have to suffer in silence. Just get in touch with us and we will solve your problem immediately. 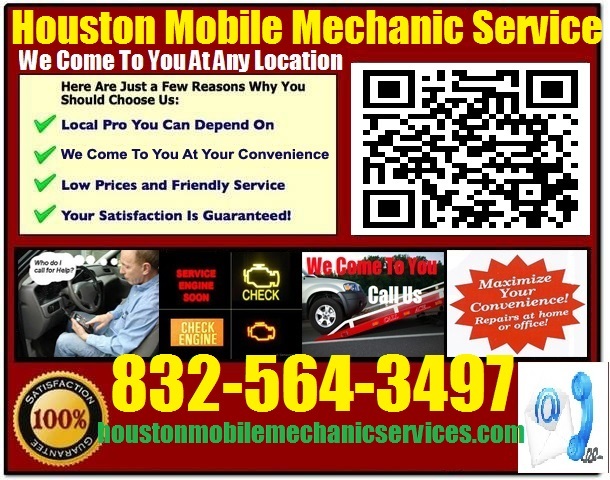 Our mobile mechanic service is just what you need. Call us and we will give you excellent service.